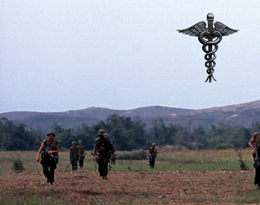 3rd Battalion 26th Marines in Vietnam | "Always On Point"
This site is dedicated to the Marines and Corpsmen who served with the 3rd Battalion, 26th Marine Regiment, during the unit’s combat tour in South Vietnam. The time period covered is from 11 December, 1966 to 19 March, 1970. 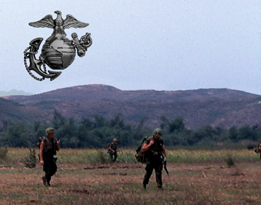 During its tour the Battalion was at times assigned to the 3rd Marine Division or the 1st Marine Division, and did another tour as a Battalion Landing Team. I have heard a rumor that the Battalion had actually been afloat, as a Battalion Landing Team, off the coast of South Vietnam for some time, before making its initial landing by the Cua Viet River located, between the DMZ and Dong Ha, on the South China Sea coast. For more details on the 3/26 Project, click here. For a quick search of the database, enter a keyword in the box and click Search. If you cannot see your keyword on the displayed fields, click View (left column) and the remainder of the fields for that event, will be displayed.